Bing has been testing another variation of their local pack in the search results. Instead of the usual listing, it adds a thumbnail image for the business on the left hand side of each result in the pack. 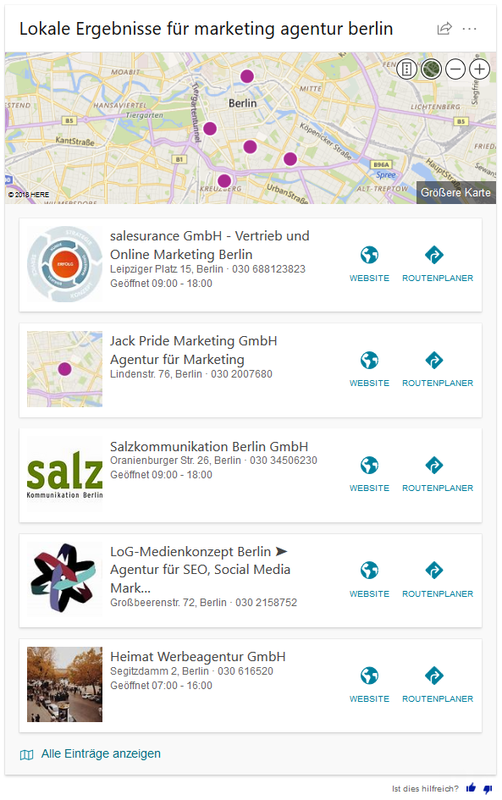 The images Bing is choosing to display vary between logos, thumbnails of the map and photos from what appears to be outside the business. They do seem to be selected from the knowledge panel local listing images. One interesting note about this one is that the local pack is appearing under ads and two organic results, instead of immediately following the Bing Ads ads. So in this scenario, organic listings have a chance to be placed above the local pack, although it isn’t clear if it is just fodr the query or in all cases. 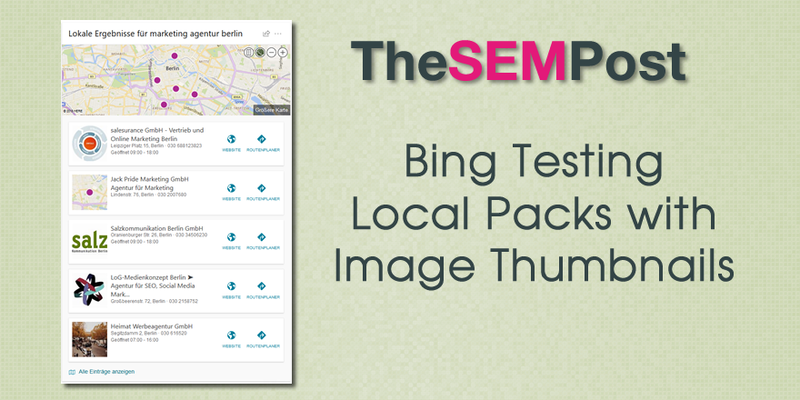 Bing has been ramping up their local pack testing, with this card style as well. This one also seems to be a limited test. 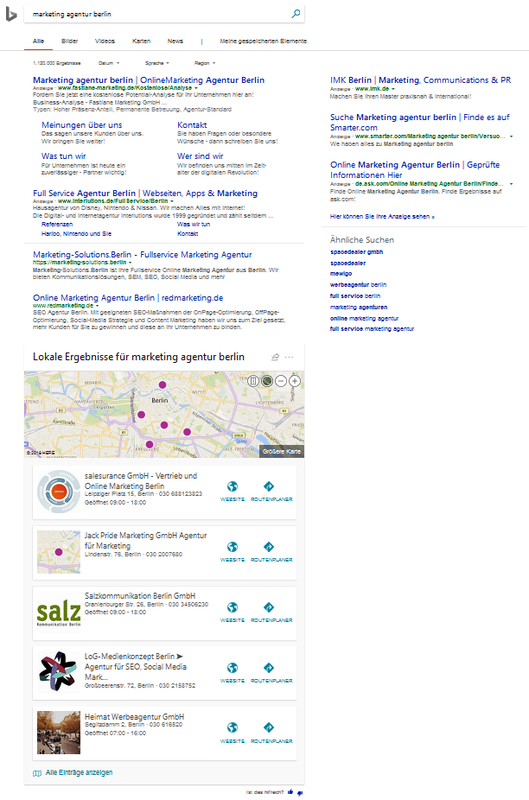 Thank you to Frank Sandtmann for noticing this Bing test and sending the second set of screenshots to The SEM Post.